Brittany Bonefas, of Lake Zurich, IL, got her early training at Barrington Dance Academy. 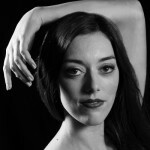 Brittany recently graduated with a BFA in Ballet Pedagogy and a minor in Economics from the University of Oklahoma. Last season, Brittany was featured in Christopher Huggins’ The List as the Mother and as Jordan Baker in Smith’s Gatsby. She is thrilled to be returning for her second season and would like to thank her family, friends and teachers for their support. 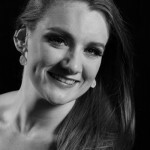 McKeely Borger of Saskatchewan, Canada, pursued her dance career at Adelphi University in New York under full Merit Scholarship, Coastal City City Ballet in Vancouver, Atlanta Ballet and Le Ballet de l’Opéra-Théâtre de Metz Metropole as a soloist. She was an original cast member of the MainStage production of Mickey & the Magician at Disneyland Paris in 2016. Ms. Borger joined Ballet Palm Beach last season, dancing roles such as Puck in A Midsummer Night’s Dream and in Balanchine’s Who Cares? as the Turning Girl, or ‘One and Only’. It is with great love and gratitude that she is where she is today: happy! 2015 and enjoyed dancing soloist roles such as Dew Drop in The Nutcracker and The Jumping Girl in Who Cares?. Originally from Brazil, Aurélio Guimarães moved to the United States in 2000. 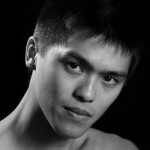 He began ballet training at the age of sixteen with the Diablo Ballet School and Contra Costa Ballet. 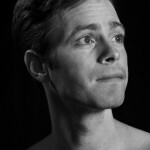 At Robert Hill’s Orlando Ballet, he graduated from Trainee to Second Company member and performed soloist roles in Hill’s original productions. In 2015, he joined the Washington Ballet as a Trainee, performing lead roles such as Don Jose in Webre’s Carmen. After being contracted with Utah Metropolitan Ballet in 2016, he performed leading roles in works including Balanchine’s Who Cares? and The Nutcracker among other neoclassical and contemporary works. Mr. Guimarães is honored and excited to begin his first season with Ballet Palm Beach. Originally from Taiwan, Sunny Hsieh immigrated to Toronto, Canada at the age of five. He began his dance training at the age of twelve to improve his balance for martial arts and quickly became obsessed with ballet. He began training seriously under Evelyn Hart and later joined Orlando Ballet School as a Trainee. Over the years he has been honored to work with many talented choreographers and teachers including Bridgett Zehr, Roberto Campanella, and Louis Laberge-Côté. Lily Ojea Loveland is in her tenth season with Ballet Palm Beach. Among many favorites, the roles of Juliet; Giselle; Marie/Sugarplum; Balanchine’s “Tschailovsky Pas De Deux” and “Who Cares”; and Colleen Smith’s “In The Mood”, “Turtle B”, “Simple Symphony”, and “Because I Said So”; stand out as her personal tops. 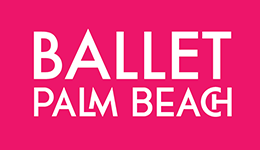 She is excited to premiere contemporary and modern works in new venues throughout the season with Ballet Palm Beach. She adores her husband and two children, Wesley and Magnolia, and can be found at leisure and play with them whenever she finds time. Her favorite Bible verse is Psalm 37:4. Aaron was born in Cuba and started ballet at Fernando Alonso’s school of ballet. In 2008, he was part of the Spanish Ballet of Cuba Company, dancing flamenco for 2 years, doing principle roles such as Matador in Carmen. In 2011 he was part of the National Ballet of Cuba for 2 years. In 2013, he was part of Laura Alonso’s company, performing principle roles in numerous classical ballets. In 2014, he toured with the company, performing Albrecht in Swan Lake throughout China. Mr. Melendrez is thrilled to be returning to Ballet Palm Beach for his fourth season. 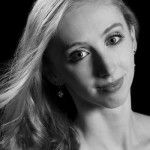 Madeleine Miller grew up in Palm Beach County and began her ballet training with Ballet Palm Beach Academy at age five. 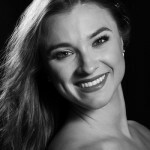 In 2011 Ms. Miller moved to Columbus, Ohio for two years to be a part of Ballet Met’s Pre-Professional Program, and she was given opportunities to perform and tour with the company’s Nutcracker. Ms. Miller returned to Ballet Palm Beach in 2014. Her favorite roles while performing with BPB are Cinderella in Cinderella, Sugar Plum Fairy in The Nutcracker, and Myrtha in Giselle. 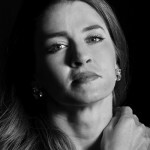 Adriana Salazar is a graduate student of both Ballet Palm Beach Academy and Dreyfoos School of the Arts. She is also a college student at Palm Beach State, with goals of becoming a speech pathologist, specifically working with autistic children. Her favorite roles include Columbine Doll in The Nutcracker, Blue Bird in Sleeping Beauty, Fall Fairy in Cinderella, and the Youngest Daughter in Christopher Huggins’ The List. 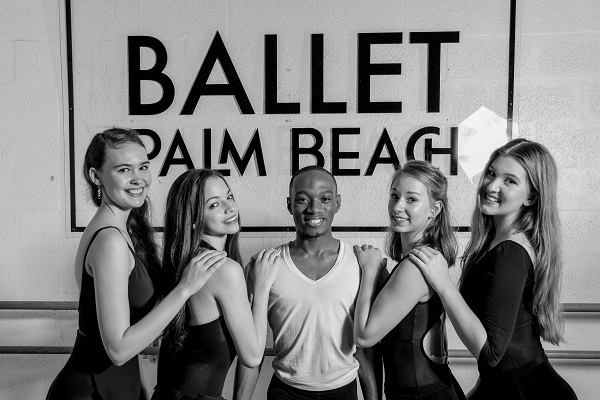 She has been a part of Ballet Palm Beach Ambassadors trips to Russia, Croatia, Bosnia, France, and Cuba. Reinhard von Rabenau began training at the School of Minnesota Ballet at the age of eight years old. 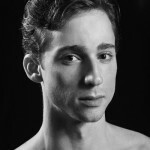 He has also studied at Point Park University in Pittsburgh and Pacific Northwest Ballet in Seattle. As a company member with the Minnesota Ballet for nine years, Reinhard has danced as Jonathan Harker in Dracula; Prince, Chinese, Russian, and Toreador in The Nutcracker; Slave in Le Corsaire; Pas de Trois in Balanchine’s Who Cares? ; Pas de Deux in Harlequinade Pas; and Blue Bird in The Sleeping Beauty. 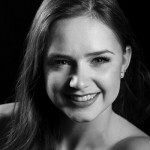 Sarah Wilson of Columbus, Ohio, received her training at BalletMet Columbus and danced with BalletMet as a company trainee. Before joining Ballet Palm Beach, she spent a year in the Richmond Ballet trainee program. Ms Wilson joined BPB in 2014. Some of her favorite roles include performing the title role in Smith’s Snow White, as well as the menacing role of Carabosse in Sleeping Beauty, Evil Step-Sister in Cinderella as well as Helena in A Midsummer Nights Dream. Madison Braaksma of Atlanta, Georgia began her serious ballet training with Fiona Fairrie at the age of 13. She continued her training at Georne Aucoin’s International City School of Ballet and in summer programs at the Royal Ballet School, Paris Opera Ballet School, ABT, Orlando Ballet, and Kansas City Ballet, some of which were attended on scholarship. Ms. Braaksma received the bronze and silver medal at Youth America Grand Prix in 2015 and 2016 and top 15 at ADC IBC in 2015. 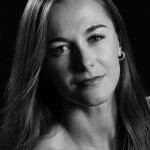 Ms. Braaksma has danced with A&A Ballet’s Youth Company and in the corps de ballet with Kansas City Ballet’s Second Company. She is thrilled to begin her first season with Ballet Palm Beach as an apprentice. Shannon Murray grew up in Palm Beach County and started training at Ballet Palm Beach at the age of four. She graduated from Dreyfoos School of the Arts in 2016 and currently studies at Palm Beach State College. She attended the Ballet Ambassadors trips to Russia, Croatia, Cuba and Hungary. After being a trainee at Ballet Palm Beach for two years, she enters her first season as an apprentice. Emily Thompson began training in her hometown of Fort Worth, Texas at the age of two after ballet classes were prescribed to help treat her Juvenile Rheumatoid Arthritis. She later furthered her training at Ballet Academy of Texas and Pittsburgh Ballet Theatre School before joining Oklahoma City Ballet as an Apprentice. She then moved to Toronto, Canada in order to train under Evelyn Hart. 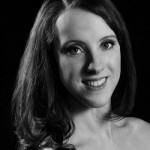 Ms. Thompson is thrilled to be starting her first season with Ballet Palm Beach. Mary was born and raised in Tampa, Florida where she started her ballet training at the Tampa Ballet Centre at seven years of age, under the direction of Robin Pollara. She also trained at Acanthus Ballet under the direction of Richard Plock. Ms. Calvino has been home-schooled all the way through grade school and was able to graduate May 2018 with 51 college credits through dual enrollment. She is thrilled to be dancing with the Ballet Palm Beach trainee program this year. Tyler Davilsaint was born in Fort Lauderdale, Florida but raised in Deerfield Beach, Florida. Though he started Hip Hop and Liturgical dancing at the age of 14, his actual ballet training began in his junior year of high school. He immediately became passionate about dance after realizing that it was a “form of a euphoric escape from normal life.” He’s also studied Ballet, Jazz, Hip Hop, Modern/Horton Technique, Contemporary, Liturgical, African and Afro-Caribbean under the directions of Luctricia Welters, Hannah Baumgarten, Pablo Malco, Linda Jenkins, Laurie Picinich-Byrd and Rome & Marina Saladino. Kayla Kotko is from Miami, Florida. She trained at Ballet Etudes, Florida Arts and Dance Company under the direction of Loretta Miller, and the St. Lucie Ballet under the direction of Rogelio Corrales. She received a 2017 international scholarship to Italy and was a guest artist at ballet fest for Muñecos, a Cuban classical ballet. This is Ms. Kotko’s second season as a trainee. Ms. Malone is a first year Trainee at Ballet Palm Beach. She has been trained in dance since she was four and through various companies. She started at Virginia Regional Ballet, then transferred to Kingsport Ballet, and was at Nashville Ballet before transferring to Ballet Palm Beach. She has done many pieces and selections from several different ballets, including: Swan Lake, La Bayadère, Don Q, Midsummer’s Night Dream, Peter Pan, Giselle, Coppelia, and The Nutcracker. She is thrilled to be a part of Ballet Palm Beach and cannot wait for what the season will bring! Faith Newcomb was born and raised in Palm Beach County. She has trained at Ballet Palm Beach Academy for all of her ten years of dancing and is thrilled for her first season as a trainee. Faith would like to thank her family, friends and teachers for their abounding love and support.